Also known as simply "centipede", the popularity of centipede grass as a lawn grass stems primarily from its adaptation to low fertility conditions and low maintenance requirements. Where properly maintained, centipedegrass exhibits minimal serious pest problems. It is particularly well suited for the sandy, acid soils of the southeastern United States. It is particularly susceptible, however, to severe iron deficiencies that develop in the alkaline soils of arid regions. Although slightly more cold tolerant than St. Augustine grass, extended periods of 5°F or less can kill centipede. Centipede forms a dense turf and has a relatively growth rate. Centipede requires less mowing than bermuda or St. Augustine grasses and is often called lazy man's grass. According to LSU AgCenter horticulturist Dr. Tom Koske, "If we take too-good care of it, we may ‘kill it with kindness,’". Thatch is very dangerous for centipede, while tall mowing heights are also detrimental to the health of the grass. Centipede grows well when mowed at 1 to 1 1/2 inches. Always keep in mind the "1/3 rule of cut". This rule states that you shouldn't cut off more than the top third of the leaf. Shorter cuts would obviously require more frequent mowing. Centipede is one of the most drought-sensitive turfgrasses around. America's first greatly improved zoysia grass, Zoysia grass offers enviable appearance and better performance. 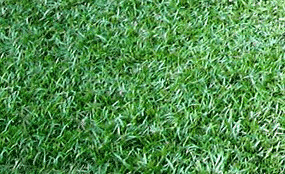 Developed specifically for the unique southeastern environment, certain Zoysia grassses meet the Florida Green Building Coalition's "Green Building" standards. This allows Florida builders seeking "Green Home Certification" to specify selected zoysia grasses and receive certifying points. There are over 20,000 Florida homes already using approved zoysia grasses with thousands more expected while water conservation remains a top priority in the Sunshine State. Zoysia grass has been specified in major developments across the state of Florida for its practical advantages. The Villages, Ginn Reunion Resort and Lakewood Ranch chose to go with zoysia in an effort to stay on the forefront of environmentally friendly landscaping. 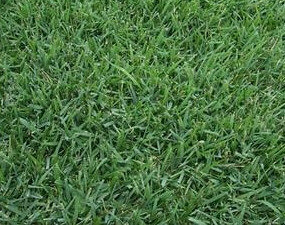 Zoysia grass needs less water than most lawn grasses, is chinch bug resistant, exhibits early green up, resists weeds, has softer texture, and is of a consisently higher quality when compared to most standard lawn grasses.